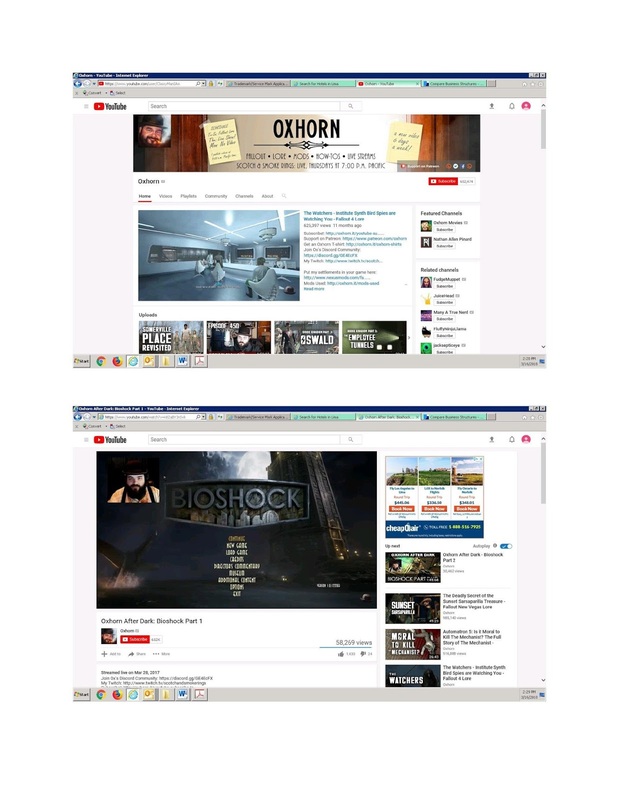 Brandon M. Dennis (aka Oxhorn) is a musician, author, and game livestreamer and his face (or a drawing of it), at least according to a recent trademark application, is his trademark. On March 19th, Oxhorn, LLC filed five federal trademark applications, including two covering the drawing above. Brand Dennis is listed as the governing person of the LLC, according to the Washington Secretary of State's website. The applications for the drawing describe the trademark as "the image of a man's face who is wearing a hat and a beard and that is smiling while holding a cigar between his lips." According to the applications, Oxhorn has been using this drawing as his trademark since September 27, 2017. 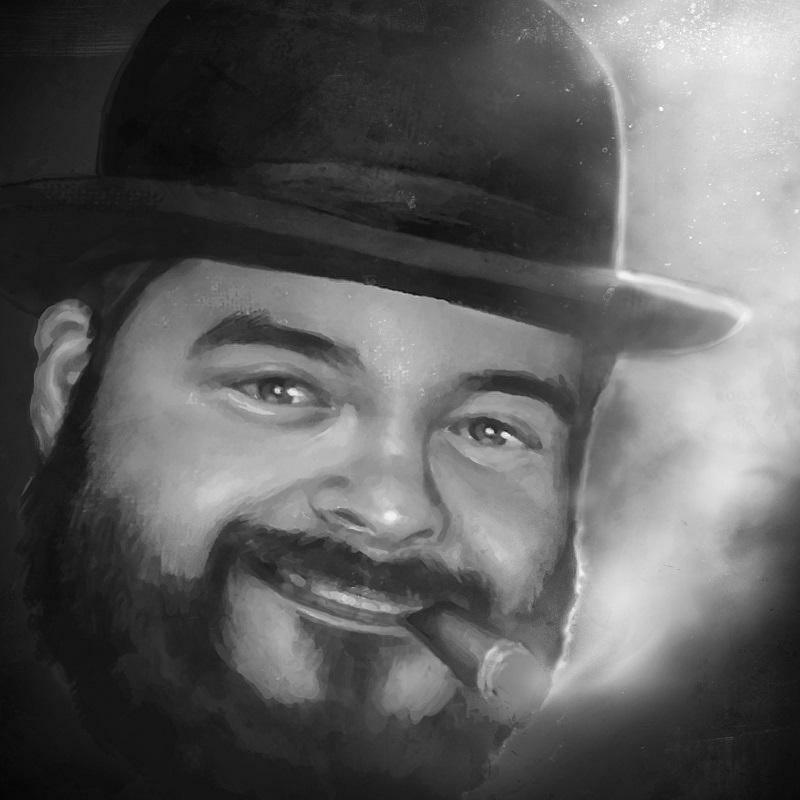 The specimens submitted with the applications, seen below, show Oxhorn is using this drawing as his YouTube avatar (click to make bigger). He is also using it as his Twitter profile picture and his Facebook profile picture. Can a drawing of someone's face serve as a trademark? Sure, if it is used as a source indicator. No Limit, LLC (owner of the Newman's Own trademarks), for example, owns several trademark registrations for an artistic rendering of Paul Newman's face. But is using a drawing as a YouTube, Twitter, or Facebook profile picture (assuming that's the only way Oxhorn is using it) sufficient to demonstrate use of the drawing as a trademark? TMEP 1301.02(b) may provide some guidance "a name or design of a character does not function as a service mark, unless it identifies and distinguishes services in addition to identifying the character. If the name or design is used only to identify the character, it is not registrable as a service mark." 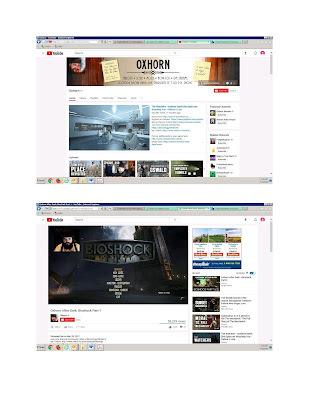 Does Oxhorn's use of the drawing above identify and distinguish services in addition to identifying Oxhorn? We'll find out what the examining attorney assigned to this application at the U.S. Patent and Trademark Office thinks in approximately three months. Note also that, because these applications are for a portrait of Oxhorn, and Section 2(c) of the Trademark Act prohibits the registration of a mark consisting of a living individual's portrait without that person's written consent, Brandon Dennis will likely need to provide his written consent before this mark can register. See also TMEP 1206.01. On the same day Oxhorn, LLC filed the two applications for the drawing of Oxhorn's face, it also filed three other applications to register OXHORN as a trademark. Those applications cover services in Class 38 and Class 41 similar to those listed in the applications for the drawing. The third OXHORN application covers a variety of clothing items in Class 25. According to my quick search, these are the first federal trademark applications filed by Oxhorn, LLC.